NANAIMO - Seven Vancouver Island marmots Canada’s most endangered mammal were released into the wild near Nanaimo, Minister of Environment Barry Penner and the Vancouver Island Marmot Recovery Foundation announced today. Born in captivity at the Tony Barrett Mount Washington Marmot Recovery Centre, the Toronto Zoo and the Mountain View Conservation Centre in Langley, the five males and two females were released today in the Haley Lake Ecological Reserve. Their release brings to 29 the number of marmots now living in the wild. Another eight captive-bred marmots are expected to be released later this summer: five at Green Mountain, one at Heather Mountain and two at Mount Washington. I’m encouraged to see the number of marmots increasing both in captivity and in the wild, said Penner, who carried one of the marmots to the release site. The foundation is doing a tremendous job. The success of the breeding and recovery program should be a model for others working with species at risk. With 13 successful litters this year, the number of Vancouver Island marmots has grown by 44 pups and now totals more than 150. All came from breeding programs designed to allow the endangered species to come back from the brink of extinction. We are very fortunate this year to be celebrating the birth of at least 44 pups in facilities in Toronto, Calgary and Langley, and at Mount Washington, said Robert Huber, the foundation’s executive director. This is at least 18 more births than in 2004. This success rate means we have every chance of restoring a wild population to self-sustaining levels. However, it is crucial that all of our donors and partners continue to financially support the recovery effort. With more marmots now in the wild, the foundation will continue with experimental non-lethal methods to prevent predation by wolves, cougars, and eagles. Now in its second year, the program includes using humans to scare away predators, fencing and netting around marmot burrows, and trained dogs to deter cougars. 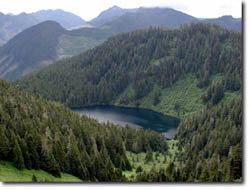 Founded in 1998, the marmot recovery program receives its core funding from the provincial government, TimberWest and Brascan (Island Timberlands). In the last four years, the Province has provided $446,000 towards the recovery program. Mount Washington Alpine Resort is an in-kind contributor. The public, which has embraced the marmot and its recovery, is also a significant contributor.